BANTEN, 29 Mac 2019 – Following the earthquake that hit the Sunda Strait on 22 December 2018 with a magnitude of 5 Richter Scale which caused fatalities and damage in several areas involved, Universiti Sains Islam Malaysia (USIM) was called to hold a Banten tsunami relief mission by building a clean water well in six villages for the use of the communities. The delegation headed by Prof Dato Dr Musa Ahmad, USIM Vice-Chancellor along with 14 USIM management members which also involved medical doctors from the Faculty of Medicine and Health Sciences, expert lecturers in faith and belief (aqidah) and volunteers. Among the assistance provided by USIM was to mobilize clean water sources, trauma treatment and dental hygiene projects for children, as well as talks on strengthening of aqidah and managing catastrophe in Islamic perspective. This humanitarian project is a collaborative effort by the Centre for Community Engagement and Industrial Networking (PLiMJI), USIM with Mathla’ul Anwar University (UNMA) and Mathla’ul Anwar Care. According to Prof Dato Dr Musa Ahmad, USIM Vice-Chancellor, as a strategic partner with UNMA, this humanitarian mission is seen as a close partnership between the two countries. As a start, USIM will assist in terms of providing clean water for the villagers involved, and thereafter will create more synergized cooperation in education. 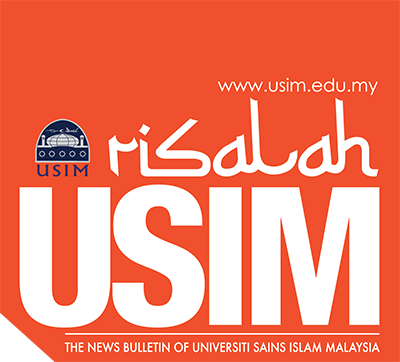 This opportunity given to USIM is expected to benefit the community not only in Malaysia but also globally. “USIM also brought along expert groups from the Faculty of Medicine and Health Sciences (FPSK) and Faculty of Leadership and Management (FKP) to participate and attend to the communities by providing health care, counselling and aqidah services”. “In future, USIM also plans to approach UNNA personnel from other aspects according to their needs for post-tsunami,” added Dato Musa. “Hopefully this relief mission will help to display the close collaboration between the communities here and USIM, and, hopefully it will not stop here, but will expand more cooperations in other areas. This assistance is hoped to be utilized, well maintained and used to perform various activities (Ibadah)to Allah. “, said Prof. Dr. Abdul Ghani Abdullah, Rector of UNMA. Prof Madya Dr Rafidah Hanim Mokhtar, as the Director of PLiMJI, expressed her gratitude for being able to successfully manage and conduct the first USIM volunteer program abroad..
“I am also happy that the Banten tsunami disaster relief mission has become a cornerstone towards the formation of the International Community Engagement Networking consisting of administrative staff, lecturers and students with expertise, highly skilled, comprehensive and capable of integrating the knowledge of naqli and aqli with excellence”, added Dr Rafidah. As a preliminary measure, USIM has sent representatives on February 27th to observe the current situation and the much needed aid of the communities. USIM also launched the Banten Tsunami Relief Fund during the USIM Staff Annual Assembly, and the USIM Cultural Center also held a Dakwah Street program with UNMA to raise funds for this purpose.